The brotherhood of honored campers--the Order of the Arrow--serves the BSA on many levels and in particular on the council level. A few lodges have issued medical-specific memorabilia. This was presumably issued to medical staff members from a Black Eagle Lodge event. I have seen other similar patches from this lodge, i.e. cook staff. This neckerchief is from lodge 99 Tonkawa. 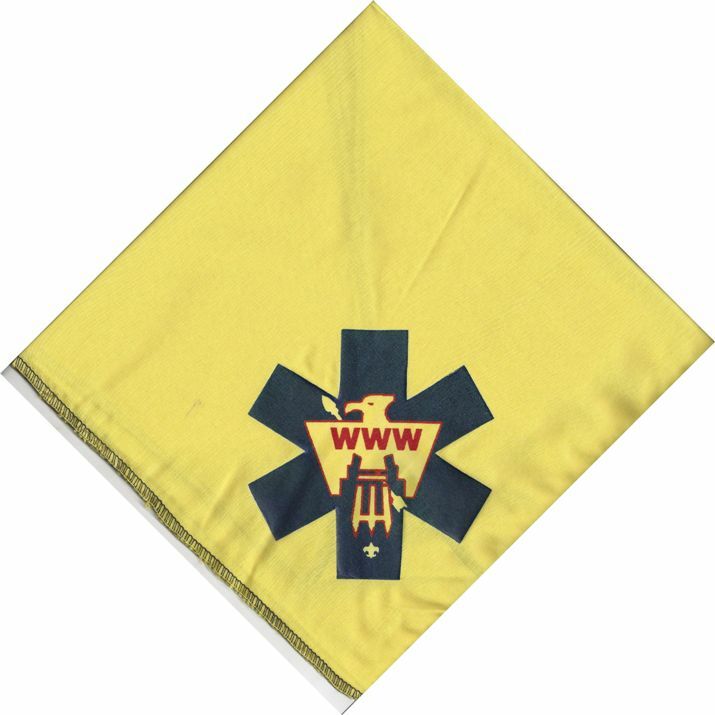 According to several of the lodge members, it was used in the 1990s by the medical staff at various events. 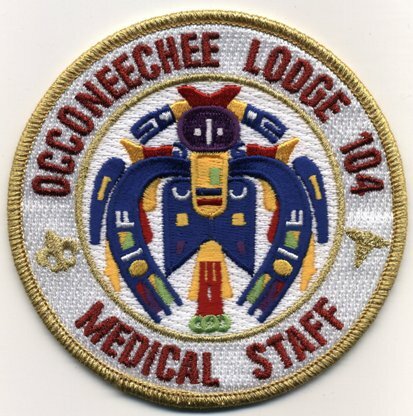 My understanding is that this issue was created for medical staff for the 2007 section SR7B conclave that Occoneechee Lodge #104 hosted on April 20 - April 22 at Camp Durant, but the people issuing it did not get lodge approval before producing it, so it is listed as a fake issue. 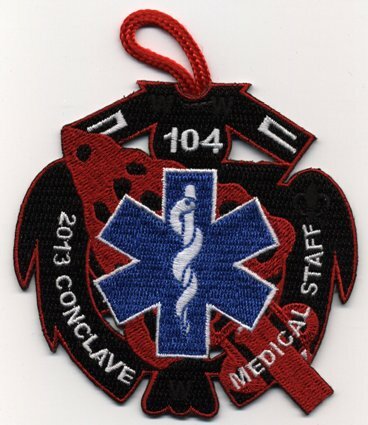 This is the medical staff patch for the 2013 section SR7B conclave, hosted by Occoneechee Lodge #104, which was held at Camp Durant on April 19 - April 21. 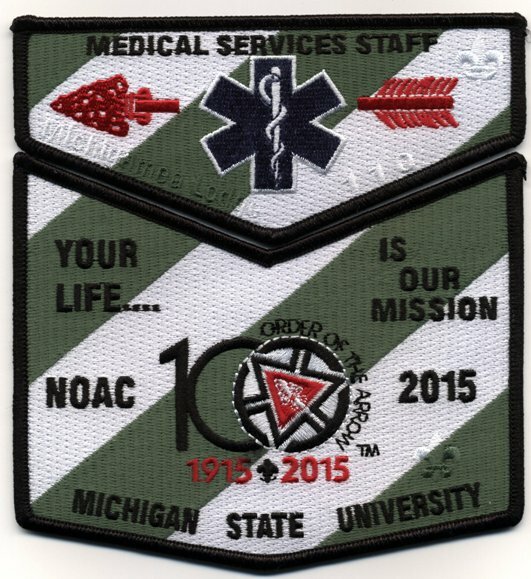 This two piece flap set was created by Michigamea Lodge #110 for the 2015 NOAC. My understanding is that it was created to honor medical staff member Joe Kruzan, who is active in health and safety in his local council and is very high up in EMS at the jamborees.